The following is a biography on Gainesville Florida Architect Warren E. Barry, D.B.A. : W.E.B. Designs. Warren Barry, born in 1977, was artistic at an early age. In early elementary school he spent his spare time drawing and painting while receiving various awards and medals for his work. In the 4th grade, while in a book store, Warren picked up a Residential Architecture book and fell in love with the idea of designing homes when he grew up. Warren was given the book for Christmas that year and studied the book until he had a basic understanding of the systems and components used to construct a home. In high school, Warren took four years of drafting and design classes offered at the high school he attended. Warren also spent two summers during high school attending a vocational school (Vo Tech in Apopka, FL) to learn AutoCAD, one of the industries standard programs for computerized drafting and design. While taking these classes, Warren competed in several State and National high school competitions relating to Architecture and drafting, returning with multiple 1st and 3rd place finishes. Warren began his college education at Florida’s Saint Petersburg Junior College which has a direct transfer program to the University of Florida’s College of Architecture Program. He began his first year with approximately 60 other Architecture students in his class that was narrowed down to eight by the end of the second year. Of the eight that made it to the end of that second year, Warren was one of three accepted directly into the University of Florida’s third year Architecture program. While attending the University of Florida, Warren met his wife Jennifer and they married in 1999. 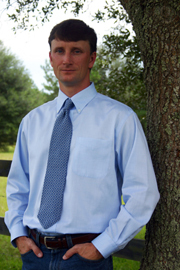 Finishing his Bachelor Degree in Architecture at UF in 2000, he continued his education at the University of Florida to obtain his Masters Degree in Architecture which he acquired in 2002. Warren began designing his families first home while finishing his final year of college and oversaw its construction while completing his Architectural internship. During his internship, Warren worked at an Architecture office that focused on high end, full Architectural services, for large multi-million dollar commercial projects for universities, the state, housing developers, and more. Warren received thorough training during this time that has assisted him since with providing high quality, detailed, buildable, and code compliant drawings. This training also translated into an ongoing constant pursuit of continued research and self-driven education to master the aspects of architecture relating to project types applicable to Warren’s interests. In early 2004, shortly after completing his internship, Warren opened his residential design office W.E.B. Designs. Warren and his wife Jennifer had their first baby, Devin, in mid 2005. In the first few years of business, Warren focused on growing his new business and passing the 9 licensing exams in order to obtain his Architecture license which he acquired in 2006. During the first three years of business, the office provided design services for over 95 projects ranging from small additions to custom homes of over 6,000 square feet. In 2007 Warren and Jennifer had their second baby, Autumn. In preparation for the new family member, before she was born, Warren designed an addition to their home and acted as the Contractor (Owner/Builder) for the project as it was built in 2007 and 2008. In 2008, upon completion of the home addition, the housing market crashed and the economy entered "The Great Recession". However, dedicated and focused on the success of his business, Warren adapted to the new market that would become the norm for several years to follow. By the end of 2012, Warren's services and portfolio had grown to be stronger and more marketable than before the housing recession began and business began to thrive despite the slow moving housing market. In 2013, Warren purchased a number of architecture books to study and add to his existing collection. One of these books was a detailed guide for Architects on designing senior living facilities (assisted living, memory care, nursing homes/skilled nursing, etc.). This book not only gave detailed information about the special considerations involved in designing senior living facilities, but also contained a chart illustrating the upcoming population growth of the elderly due to the aging baby boomer population. The upcoming need for such facilities, along with senior living projects combining all of Warren’s past commercial and residential experience into a single project type, made them ideal for him. As a result, Warren spent the next 2.5 years studying in great depth the many codes, regulations, and design guidelines specific to such facilities. Completing this research in early 2016, Warren has expanded his businesses focus of designing new custom homes to also include senior living facilities.